Proving that it has better debates to cover than those between certain presidential nominees and incumbents, National Public Radio (NPR) has returned to the bathrooms for a piece on what the source terms "Poop talk." The question on hand for Shots, the NPR health blog, is whether the modern toilet has become the bane of hemorrhoid and constipation sufferers across the United States. According to the source, some architects and doctors are saying so, putting forth the suggestion that squatting is ideal when it comes to getting your business done in the restroom. The blog piece gets into the various biological grotesqueries and fascinatingly precise (if slightly nauseating) geometrical angles a bit, but more interesting is the small cultural movement that squatting has spawned. But it's certainly not ideal for everybody, or even most people. 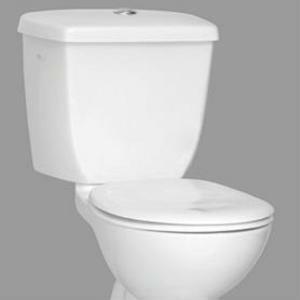 "For most people, the modern toilet doesn't cause any problems," Rebekah Kim, colorectal surgeon at Virginia Hospital Center, told the source. But she does suggest to her own patients with loo problems that they get a stack of books or a stool to rest their feet on while visiting the bathroom, allowing them to adopt a semi-squatted but seated position. "Squatting on a stool can reduce the amount of straining on the toilet," she said, which may in turn mean fewer hemorrhoid problems. Although the studies haven't yet been done, it's a budding opportunity for those with a passion for, well, "poop talk." Differences in bathroom techniques have long been a topic of conversation, and rarely do culture and health not overlap and argue a bit. Consider the bidet - a paper-saving and freshening bathroom fixture (or toilet attachment) that makes logical sense but has failed to catch on in America. Across the world, there are as many cultural mores and rules for dining as there are for bathroom usage - and that's assuming you can find a traditional bathroom. A number of eastern countries may adopt the squatting position, but that's out of necessity rather than cultural convention. At the end of the day, perhaps the only truly healthful option in bathroom maintenance and activity is sanitation. It won't necessarily help you avoid hemorrhoids or keep you regular, but washing your hands before you leave the restroom is a luxury that the denizens of plenty of nations don't have. And don't forget to use soap!